I’ve loved tater tots ever since I was a kid—and that’s never stopped. 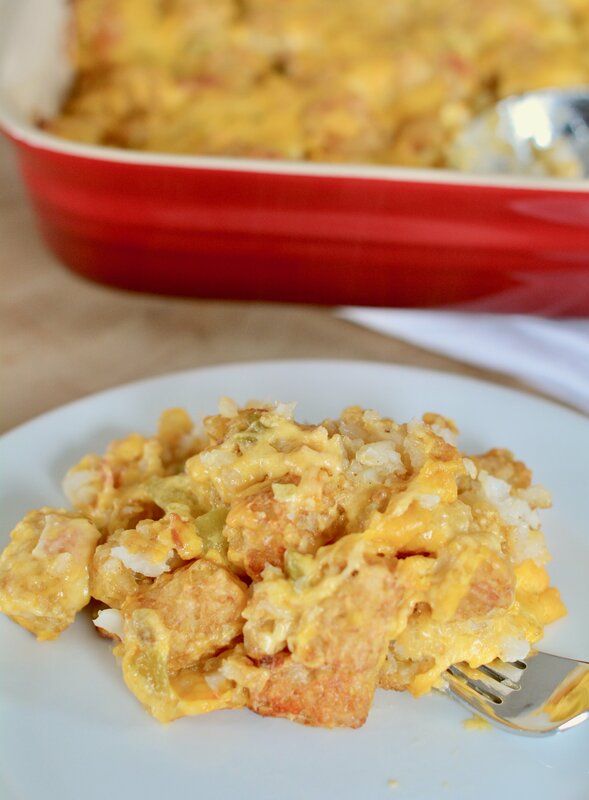 Now I use my kids as an excuse to make them, but it wasn’t until recently that I thought to take those tasty fried potato nuggets to the next level by creating a tater tot casserole. See, tater tots are basically hash browns, right? So incorporating them into a breakfast dish with bacon just seemed like a natural next step. 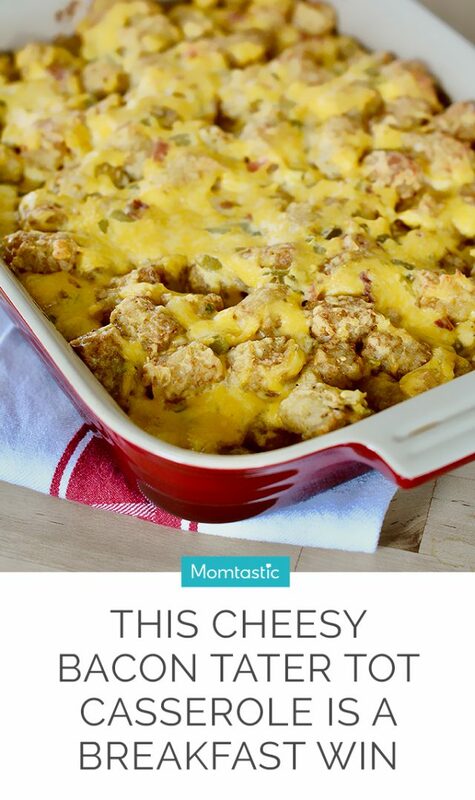 This cheesy bacon tater tot casserole bakes up golden-brown and crunchy. 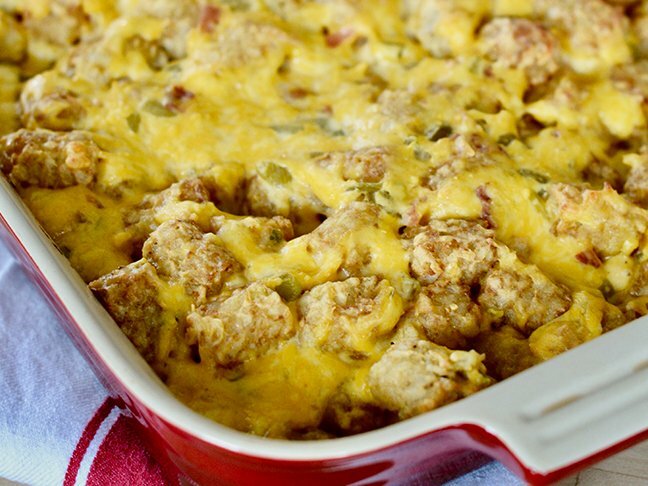 It’s a delicious way to start any morning and an easy way to feed a crowd (hello, potlucks!). 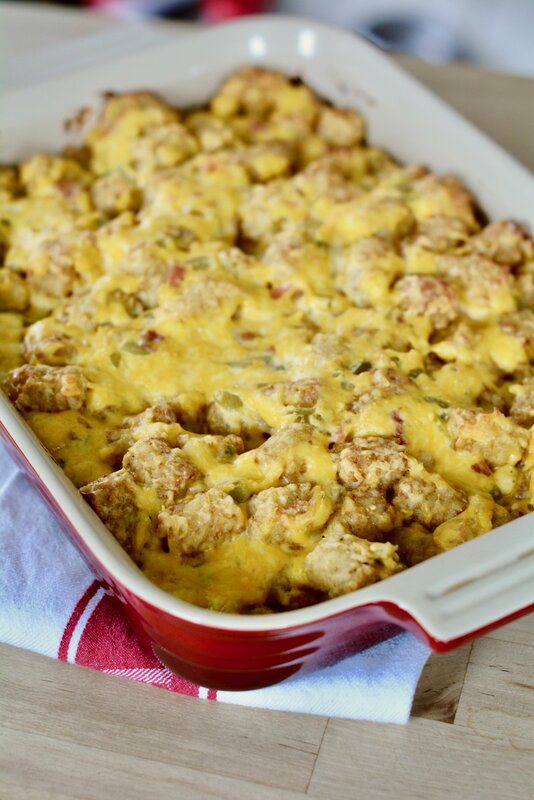 Plus, you can put your own spin on it by topping your tater tot casserole with eggs or even add some chicken. My family loves breakfast-for-dinner, so I serve this dish with a salad as a comforting weeknight meal. Step 1: Preheat the oven to80 degrees C. Prepare a 9x13 baking dish with cooking spray. Step 2: In a large bowl, mix the bacon, shredded cheese, cheese soup, green chiles, and sour cream. Stir until combined. Then add the frozen tater tots, and fold them in evenly. Step 3: Spread the mixture in the prepared baking dish, and bake for 45 to 50 minutes, or until the sides are bubbly. Step 4: Remove from the oven and allow to cool for 10 minutes. Serve warm.